Maximize your mobile lifestyle during your visit to Thailand with a 4G SIM card from AIS! With the SIM card’s varying sizes, you can stay connected with any type of device! Make the most out of your local calls or SMS credits worth THB100 (around MYR12) for free! Fast delivery to my doorstep. The speed of 4G is fast and coverage is wide. Travel smart and prep your Thailand adventure with a 4G SIM card from AIS, the leading mobile operator in the country! Discover the best way to stay connected on the go and freely explore the country one iconic stop at a time. Maximize your 3GB data and enjoy strong connections at 4G+ speeds! Contact family and friends at home, share your journeys online, or search for your next destination with no worries. Get started by choosing to personally pick up your SIM card or have it delivered right at your doorstep, maintaining your traveling convenience from the get-go! As an added perk, dial local calls or use SMS credits worth THB100 (around MYR12) for free! And if ever you need more data, simply top up your SIM card at AIS shops, Family Mart or 7-Eleven stores near you. Make use of your newest traveling essential to secure unstoppable connections whenever, wherever. 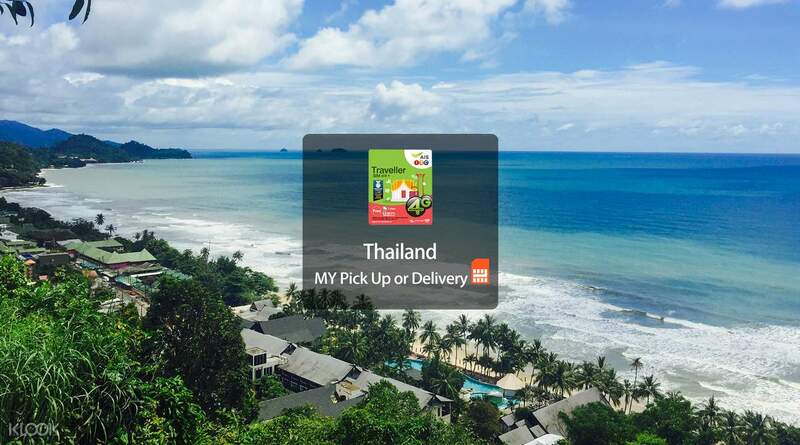 Set up your visit in Thailand with a 4G SIM card designed for your traveling convenience! Fast delivery to my doorstep. The speed of 4G is fast and coverage is wide. Fast delivery to my doorstep. The speed of 4G is fast and coverage is wide.